I was completely surprised by The Next to Last Mistake. Not only is there a lot of chess and cows in this book, but it’s also about being surprised by friendship. 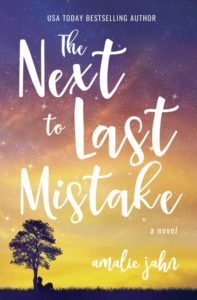 The Next to Last Mistake is a story about being out of your comfort zone, displaced, and not knowing how to move on with your life. At the same time it’s about opening your heart to new experiences, being willing to listen, and adapting to change. The Next to Last Mistake is surprising in the best of ways as it deals with friendship, family, and saying goodbye. Jahn takes this moment in our lives, where we feel so utterly like we don’t belong, and tells a story about change and finding our place. At the same time, it’s full of conversations about privilege and race as Tess is surrounded by entirely new people and experiences. She has to figure out when it’s time for her to listen to those around her, and how her words, and microaggressions, make her friends feel. It’s about realizing that our lives and experiences are so different from other peoples. Where they have never had a moment where their life wasn’t defined by their race, where they learn different rules than us. And what happens when Tess is faced with these new friends and trying to see their perspectives. Because we are in Tess’s perspective, we can see her listening and being introspective, respectful while still acknowledging that she has more work to do. As someone who has moved a lot within the last few years, and felt like I had to remake myself each time, I found this aspect of the story, and Tess relatable. That same holding of breath, waiting for someone to make a move, and wondering how you will adapt to this different world. It’s hard to navigate long distance friendships, but the ones that manage to breach the miles are the ones we treasure most. And if you saw me mention chess before, don’t worry. I really am not a fan of chess, but I still was able to follow along and, clearly, still enjoyed it. The Next to Last Mistake really is a story about friendship. It’s about making mistakes, big and small, but managing to correct them, to take the time and listen. Find The Next to Last Mistake on Goodreads, Amazon, Indiebound & The Book Depository.